1. Back up your files! We continue receiving a stream of help request emails from folks who have lost their Math Mammoth (digital) files. Usually it's a computer crash, but occasionally there are more colorful stories, like files just mysteriously getting "lost" on the computer. Sometimes the backup drive has crashed... which shows that you need to make MORE THAN ONE backup. "...my thumb drive and google only saved parts of my original files..."
"Recently something happened to my computer and the file was completely lost..."
"I have saved the files to my flash memory but unfortunately it has crashed." "My hard drive crashed at the end of the year..."
"...our computer crashed and burned..."
"...my computer just died and unfortunately I had not saved my Math Mammoth 5 to the cloud..."
"My computer has unfortunately broken and I have lost all of of my math files." The simple moral of these stories is: make backups of your files. Use flash drives (several), cloud storage, other hard drives, other computers, etc. Actually, you should make backup copies of ALL your digital curriculum files, not just Math Mammoth. You just don't know what is around the corner, and which company might go out of business (like Educents did recently, just all of a sudden with a few weeks notice). Everything looks quite stable here at Math Mammoth and I have no intention of going out of business... and we're happy to help all of you who lose the files, but still, PLEASE everyone, make those copies. Several. 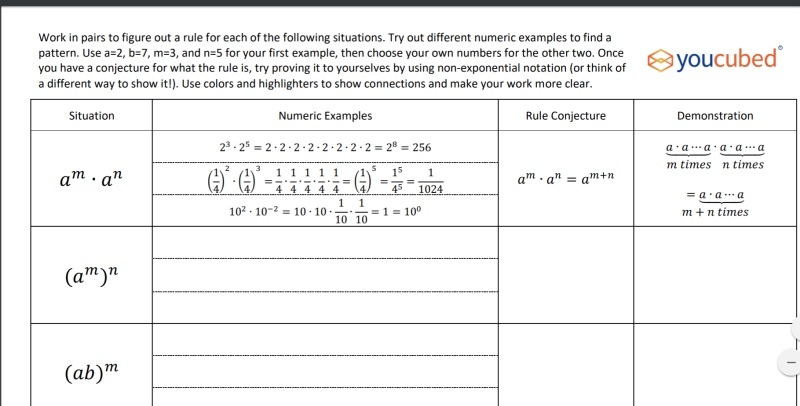 For high school math teachers & parents... you might be interested in this printable activity concerning the RULES FOR EXPONENTS. 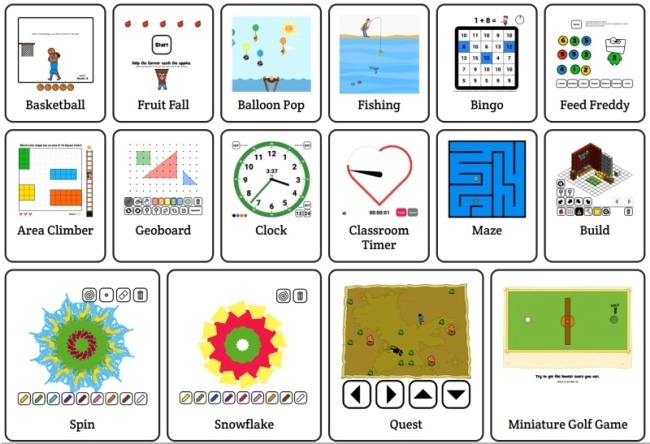 It allows students to explore the rules, and possibly try to figure out some of them themselves. Such "discovery approach" is not always the best, but in some instances it can be very fruitful, because the students will then remember and understand the concepts much better. I challenged my kids with this simple math game the other day and each of them tried to show me how wrong I was... only they couldn't! 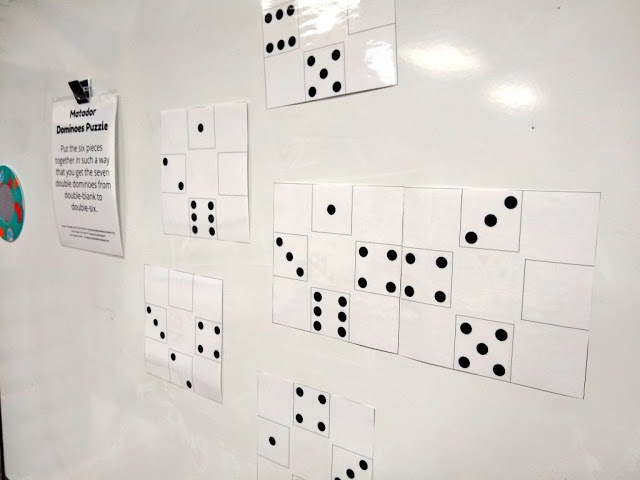 Often, we tend to just scurry through our math curriculum, with the thought first and foremost that "We have to be able to finish this and get through this." In this approach, children do learn the basics, but math is more than that. I feel that if at all possible, it's good to include some puzzles and challenging problems every once in a while. To that end, I'm including here two different puzzles. 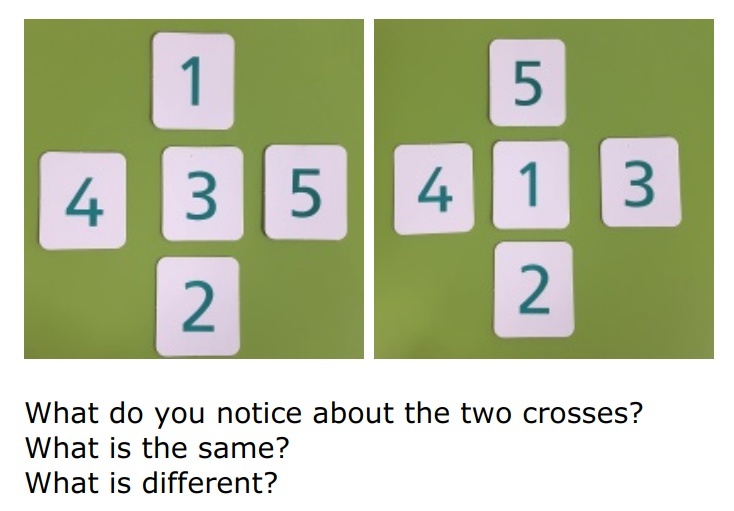 Can you find any more magic crosses using the digits 1, 2, 3, 4 and 5? Can you find all the possibilities? Can you convince yourself you have found them all? The aim of the puzzle to put the six pieces together in such a way that you get the seven double dominoes from double-blank to double-six. I tried this together with my 5th grader; after a little while we found the solution and we enjoyed the process. 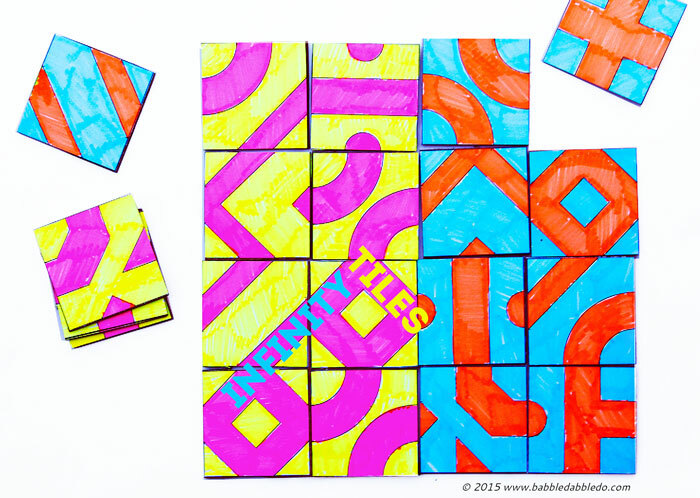 See more and download the handout at Math Equals Love: Matador Dominoes Puzzle. Feel free to forward this issue to a friend/colleague! Subscribe here.